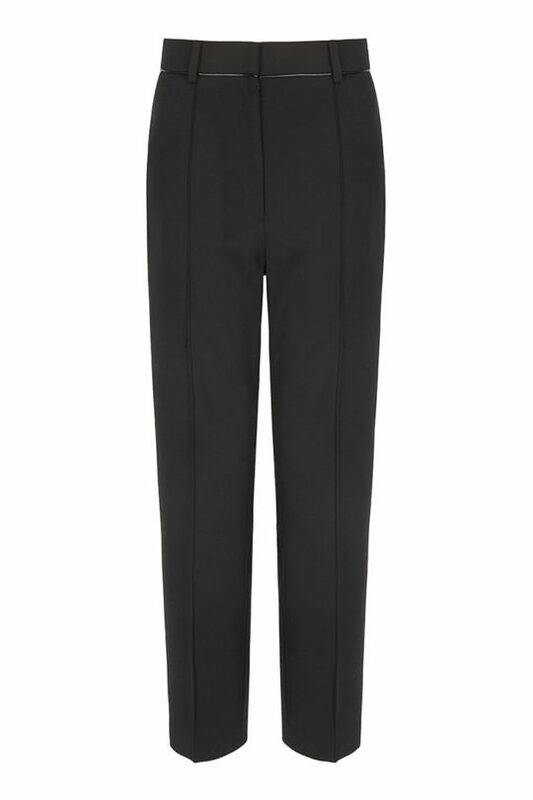 Slip this slinky black silk-satin camisole into your wardrobe for relaxed, modern glamour. 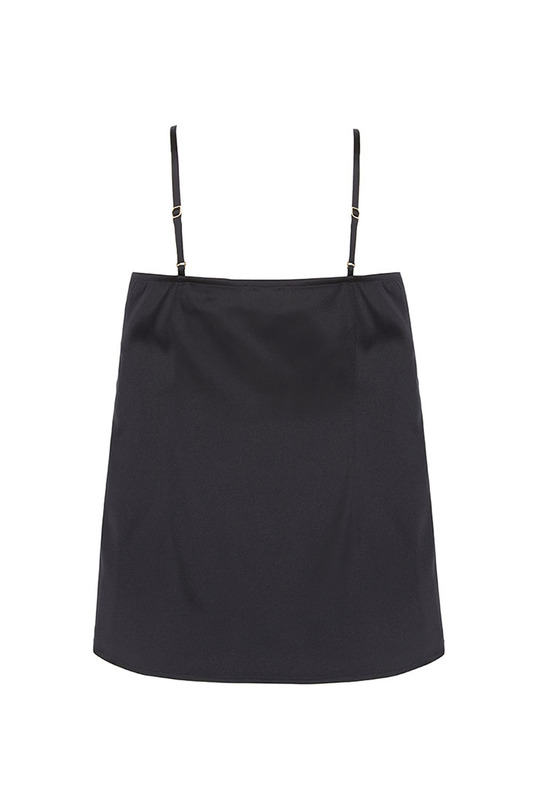 The Haydon top is the perfect cami, made from lustrous silk-satin with adjustable spaghetti straps and a v-neckline. 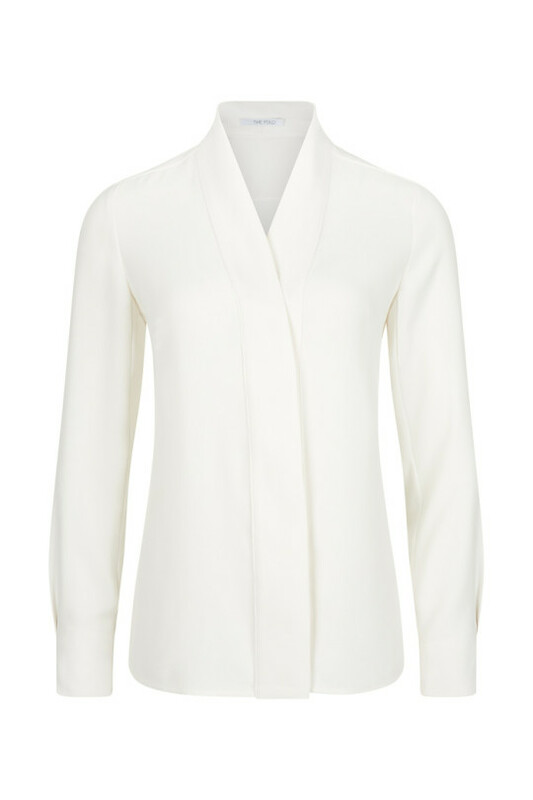 The sleek and minimal style is an ideal layering piece, expertly cut with a double layer of silk for a clean finish. 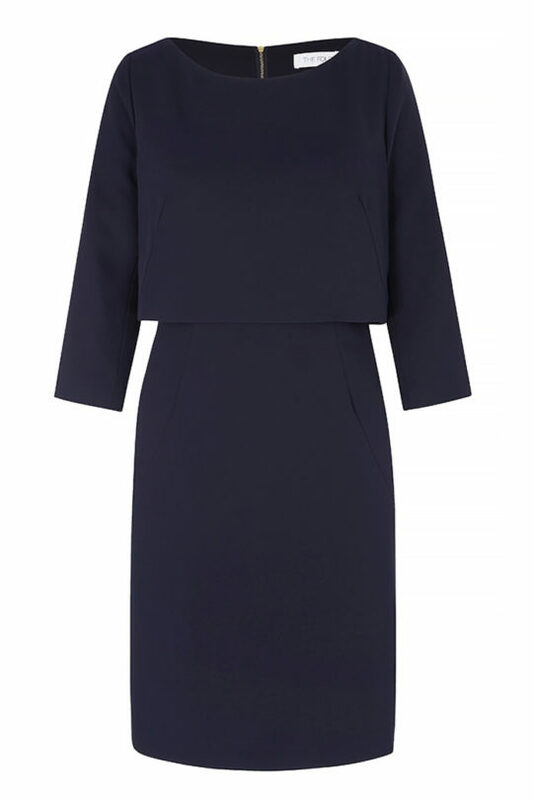 Wear beneath a blazer for a touch of glamour or on its own with tailored separates. 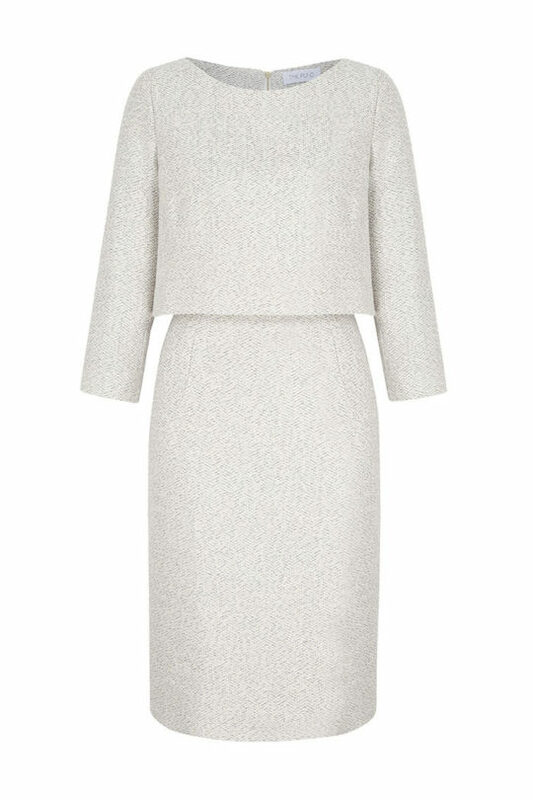 Styled here with the Alverston Skirt Black Rib Knit.